FOXBORO, Mass. – One team is already qualified for the D1 South tournament, the other is battling to keep its postseason aspirations alive. 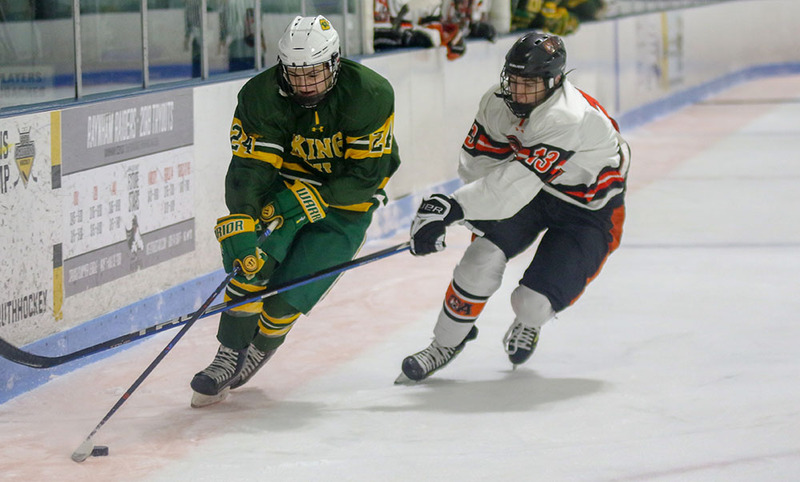 So it was no surprise that Wednesday night’s tilt between Mansfield and King Philip felt like a playoff game. The teams skated to a 1-1 tie, exchanging goals in the final four minutes of the second period. 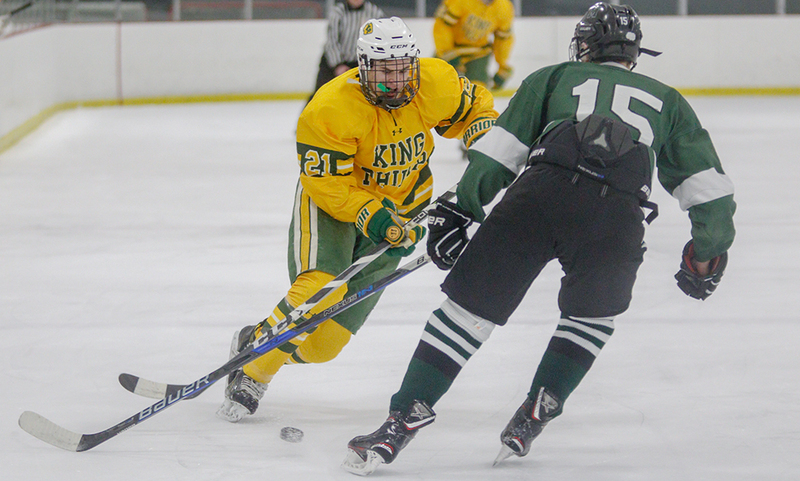 With the point, King Philip is still alive for a playoff berth. The Warriors need to win their final two games of the season to join the Hornets in the tournament. After a relatively even first period, Mansfield began to gain control of the game, having long stretches of possession in the attacking zone. The Hornets had a 16-5 edge in shots on goal in the frame, peppering King Philip senior goalie Shane Frommer (29 saves). It’s best early chance came off the stick of freshman Matt Copponi as he whistled a shot with both Chris Copponi and Adam Anastos skating in front looking for a tip. 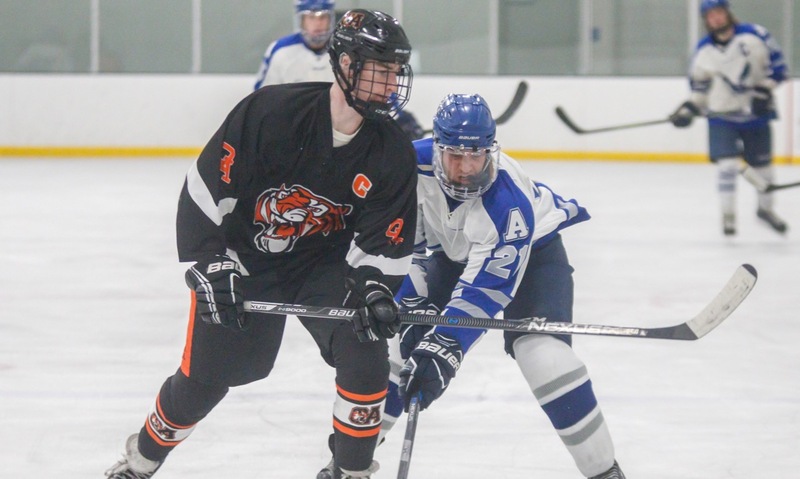 When Mansfield went on the power play at the midway point of the game, senior defenseman Tyler Oakley had his wrist shot redirected by sophomore Jake Lund but Frommer was able to get his glove on top of the dribbling puck. Two minutes later, the Hornets had another chance when Tim Arnold kept the puck in the offensive zone and the puck landed at the feet of Chris Copponi, but Frommer made a point-blank save. But despite the Hornets having the edge in play in the period, it was the Warriors that struck first. Mansfield goalie Sean McCafferty (23 saves) turned away a bid from Gavin Maxwell, but the puck found its way back in front and sophomore Joe Boselli lifted his shot into the back of the net. Luke D’Amico was credited with the assist while Maxwell provided the screen in front. Less than 90 seconds after the Warriors took the lead, they took a penalty to put the Hornets on the man advantage again. This time, Mansfield cashed in. Matt Copponi tossed a puck towards net from the blue line, where Oakley ripped a shot in close. The puck squirted free onto the other side and Chris Copponi batted in the rebound to tie the game with 1:09 left in the period. KP had an 11-3 advantage in shots in the first period, but the teams split attacking zone possession. 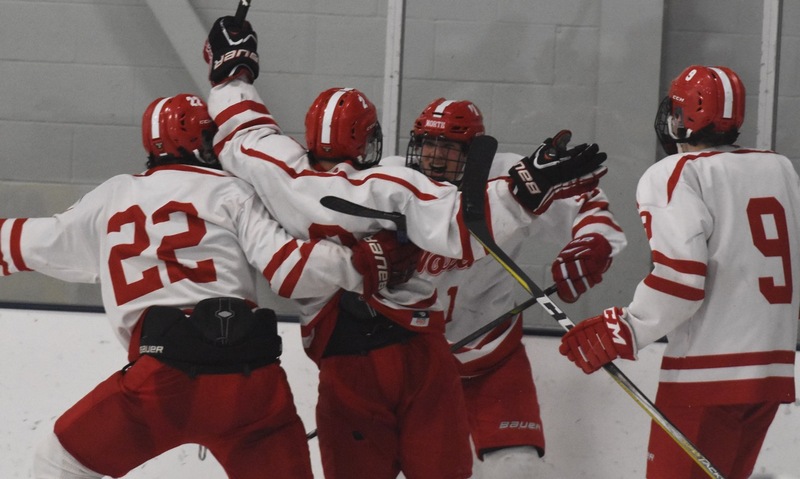 The best chance for King Philip came with just under three minutes to go when Maxwell saw his shot go wide and D’Amico had his rebound bid denied by McCafferty’s paddle on a diving save. Both teams had chances at the winner in the third period but couldn’t find the back of the net. D’Amico took a feed from Jack Coulter but McCafferty made the save right in front. D’Amico set up Boselli with just under six minutes to go, but again McCafferty was there for the save. Right after the save, Mansfield went down the other end only for Matt Copponi’s shot to ring off the crossbar. 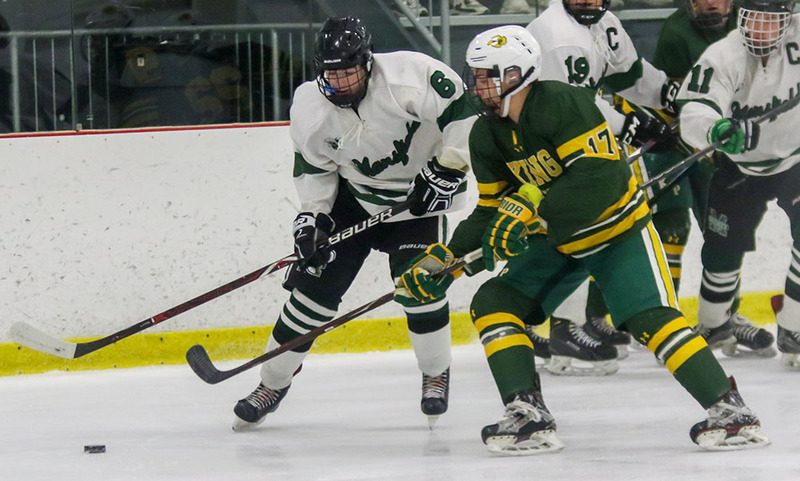 King Philip boys hockey (4-4 Hockomock, 8-10-1 overall) will try to keep its postseason hopes alive when it hosts Norwood on Monday at 5:20. Mansfield (5-2-2, 8-5-5) is on the road on Saturday, traveling to Larsen Arena to take on Winthrop.